For almost three years, I knew I wanted to build TwoGrand. I wanted to change the health game for many personal reasons, but my own health wasn’t one of them. I always viewed myself as pretty healthy. I’d be an example to be followed – the tutor, not the tutee. Looking back on 2013 – TwoGrand’s first (partial) year in existence – I see that I’ve rarely ever been so wrong. And never has being so wrong made me so confident in something being so right. My executive health summary paints the picture of an average dude with no problems. And that was the problem. From the time I neared high school graduation, I’ve weighed between 157 and 165 pounds. The weight fluctuation has been almost exclusively due to actively gaining (and then sadly losing) muscle. I’m 26, so that makes it ~10 years at this weight. And at 6’0”, that puts me at the low end of “normal” for a medium frame guy. I play competitive adult soccer, and although my fitness level isn’t what it used to be, I can run a 5K without pause. I knew I had a few bad eating habits – namely a gross overuse of the microwave that was an outgrowth of my insane schedule when in college – but nothing had inspired me to make real change. I remember the meal Alex (my co-founder) and I ate the night we agreed on the name TwoGrand. I remember it because it was the first time I fully acknowledged the stark contrast between real meals and the stuff I was often eating. 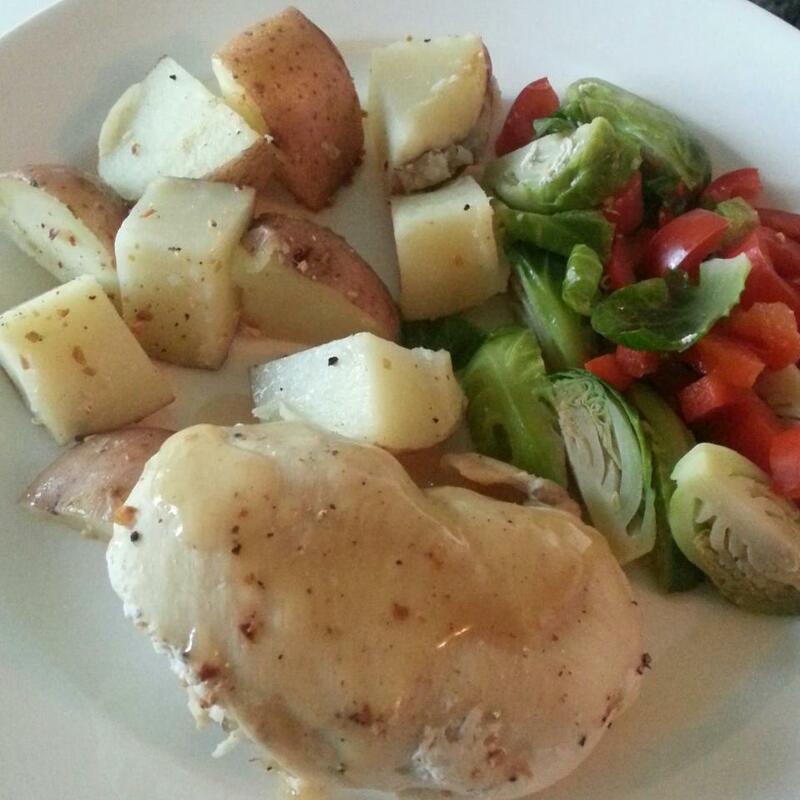 The meal Alex made was simple, and old as time: Chicken (with a drizzle of gravy), mixed veggies, and potatoes. It was delicious. It also stood out like a sore thumb on my TwoGrand profile. I couldn’t recall the last time I’d made dinner like this. And remember, we’re not talking gourmet French cuisine here – just chicken, veggies, and potatoes. 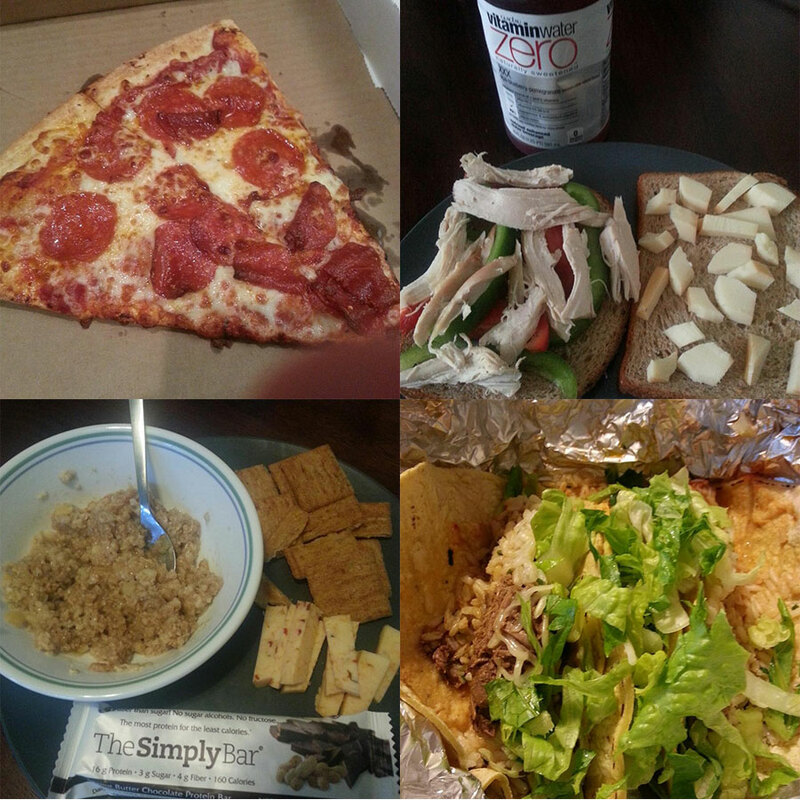 The headliners: Pizza, sandwich, oatmeal, and Chipotle. Sure, I kept the calories down – I’ve always done that – but where were the vegetables? Or the fruit? Could I be treating my body better? Comparing my meals to Alex’s (and also eating Alex’s meals because, you know, co-founders), combined with the influence of my wonderful girlfriend (and chef extraordinaire) Cat, gave me all the evidence I needed. So I had an “Aha!” moment. Big deal – we all have them. The real magic came in how I, almost unknowingly, undid decades of habitual behavior thanks to an app I wasn’t supposed to be the audience for. Arguably the most powerful aspect of TwoGrand is its visual nature. Seeing meals in full color, texture and size, gives you perspective that no amount of text and portion descriptions can. Arguably the second-most powerful aspect is the repetition. You see a new food once and it’s interesting. You see it a second time – from a second person – and it’s intriguing. You see it a third time and you’re asking about how to prepare it. 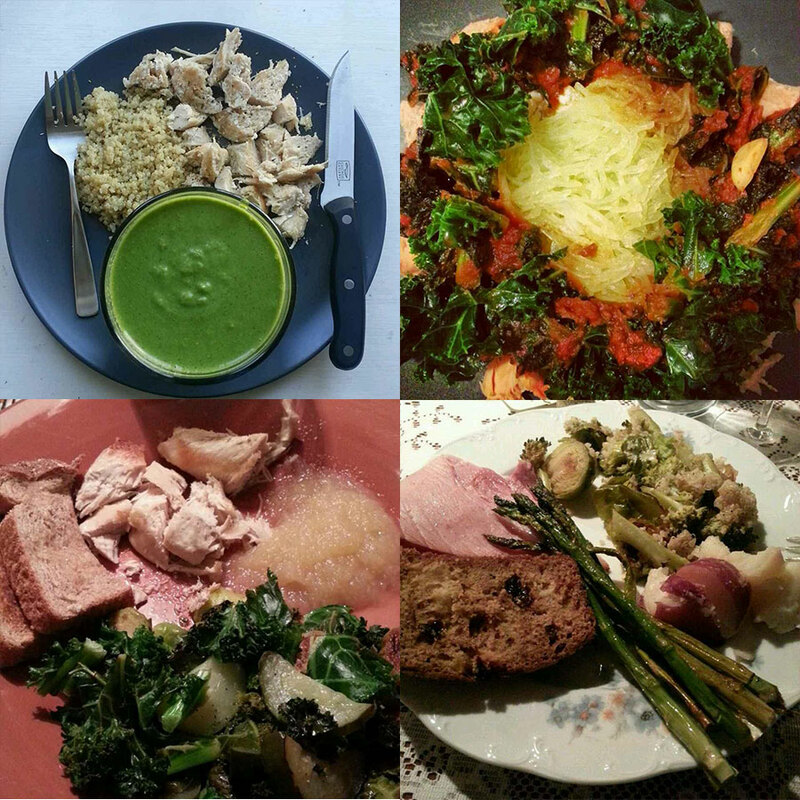 The fourth time, you’re posting it in your own meal, and beaming from self-satisfaction. In the past week, I’ve made quinoa, a kale/apple/flax seed/natural PB/water smoothie, spaghetti squash, a kale/brussels sprouts/bell pepper/cucumber medley sauteed in (just-squeezed) lemon and lime juice, and, wait for it… a chicken/veggies/potatoes dinner. Only when I went home for the holidays did the transformation hit me. The guy whose only groceries opinion growing up was which cereals to stock the cupboards with, was getting involved in the preparation of a six-person Christmas dinner. I mean, my Christmas gift to my parents was a top-shelf blender. Two years ago, Vegas set the odds of that happening at slightly longer than a Milli Vanilli comeback. I used to joke that 80% of my life’s calories had come from 10 foods: Cereal, milk, peanut butter, ice cream, Gatorade, apples, berries, bread, carrots, and beer. It wasn’t really a joke, of course. TwoGrand has changed all that. I enjoy food more than ever before. I feel I understand food more. I feel healthier. I am healthier. My mom can say all of the same things. Alex can, too. Myriad people in the TwoGrand community have lost weight. Almost everyone in the TwoGrand community has replaced an unhealthy meal with a healthier option. One particularly awesome person has lost 20 pounds in two months, and looking at her first few days compared to her most recent days is incredibly uplifting. It’s working. And if I didn’t go through it myself, I’m not sure I’d be as adept at explaining why. In 2013, I set out to build a health company. Turns out I was its first customer. great story! I’m counting on your app to help me along. Been using it for about10 days And first it felt like walking on stilettos, but it’s getting better. Thank you. Thanks, Irene! Really glad you’re enjoying the app. If you ever have any questions or suggestions, you can reach us at team@twogrand.com. Cheers!